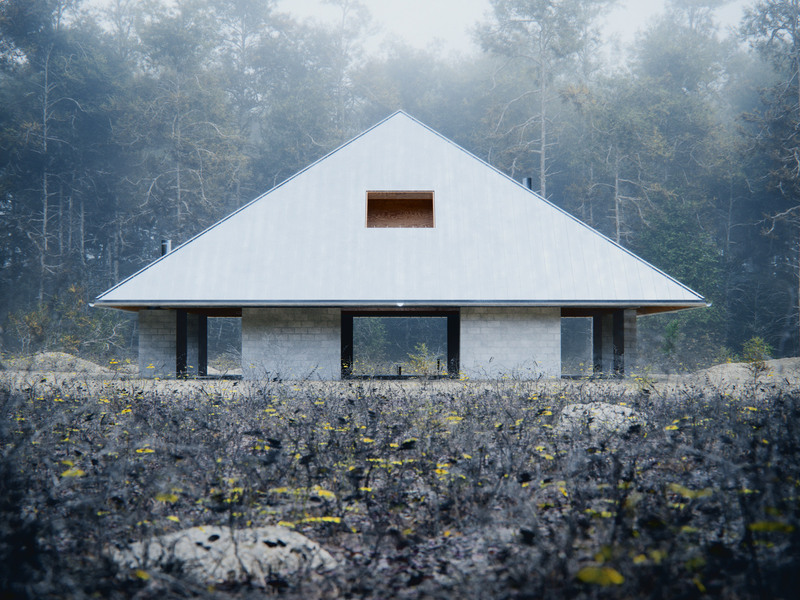 House of the Woodland is a family residence planned for a site in the Berkshires region in western Massachusetts. 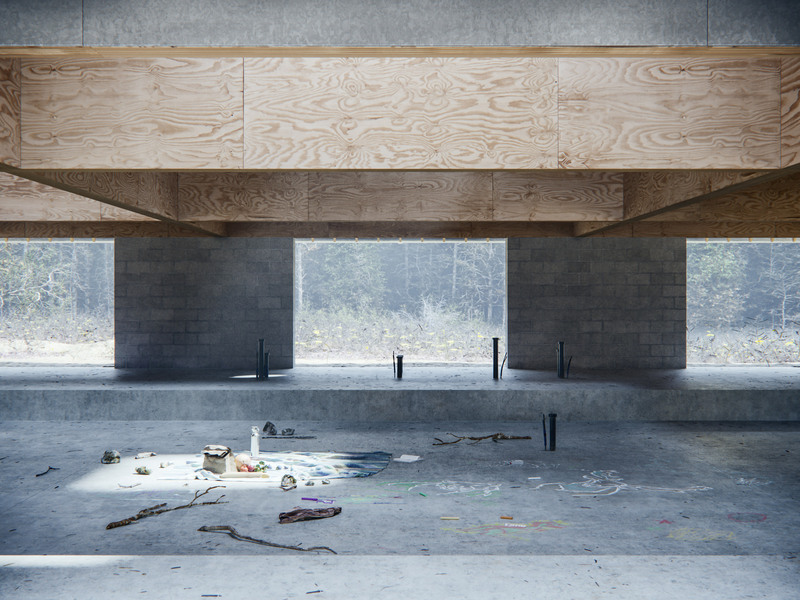 Envisioned as a retreat from city life, the cabin is intended to “frame the slow and deliberate rituals of respite”, according to WOJR, which is based in Cambridge, Massachusetts. 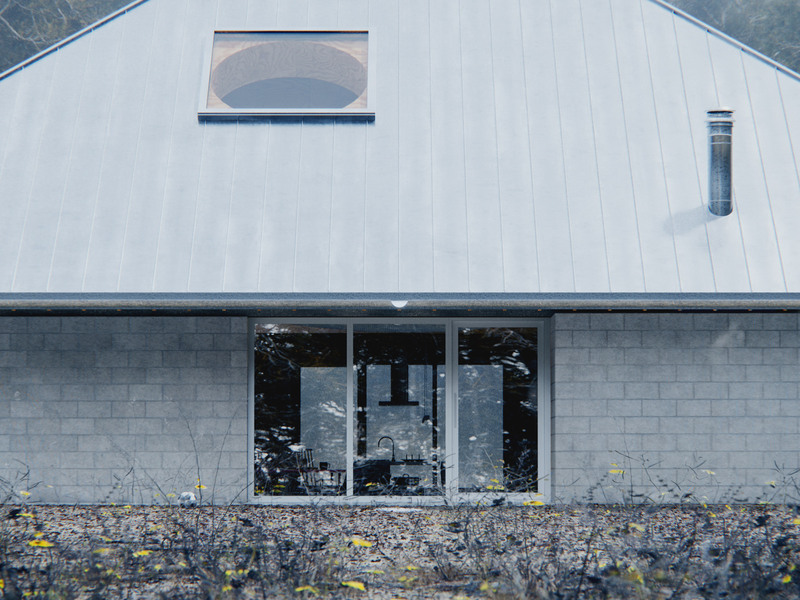 Renderings of the 2,300-square-foot (214-square-metre) home show it will comprise eight walls concrete blocks walls separated by large stretches of glass. Four large, intersecting plywood trusses sit atop the solid walls. The trusses allow for column-free spaces. while also supporting the roof structure. 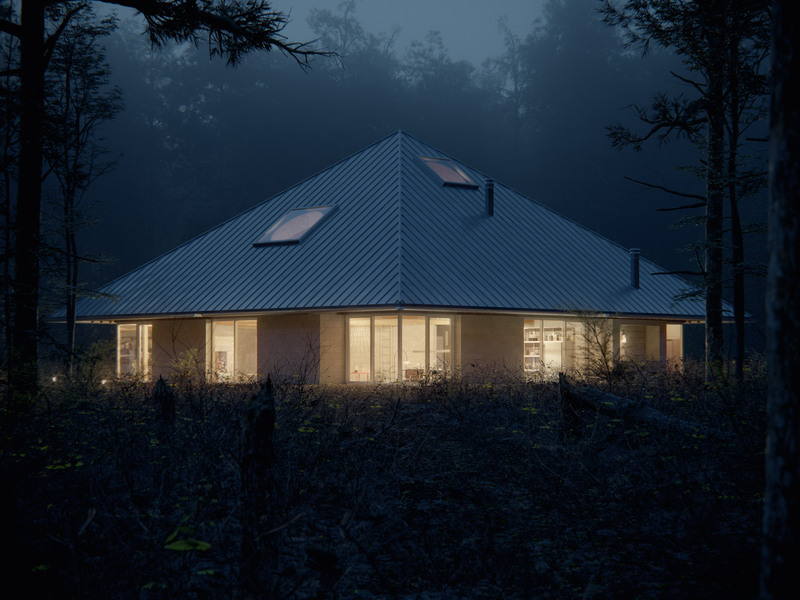 This is clad in standing-seam metal and punctured by four circular skylights set within square frames. Square in plan, the home’s design was influenced by the nine-square grid that has been used by architects for centuries. Some have argued that villas by 16th-century architect Andrea Palladio make use of the nine-square organisational device. The plan was lated employed by Louis Kahn for Exteter Library, built in 1972, and by Shigeru Ban for his Nine Square Grid House, completed in 1997. To get his students thinking about architectural space, Hejduk required them to design a house using a nine-square grid. An exhibition about Hejduk’s approach was staged at Harvard University in 2016. 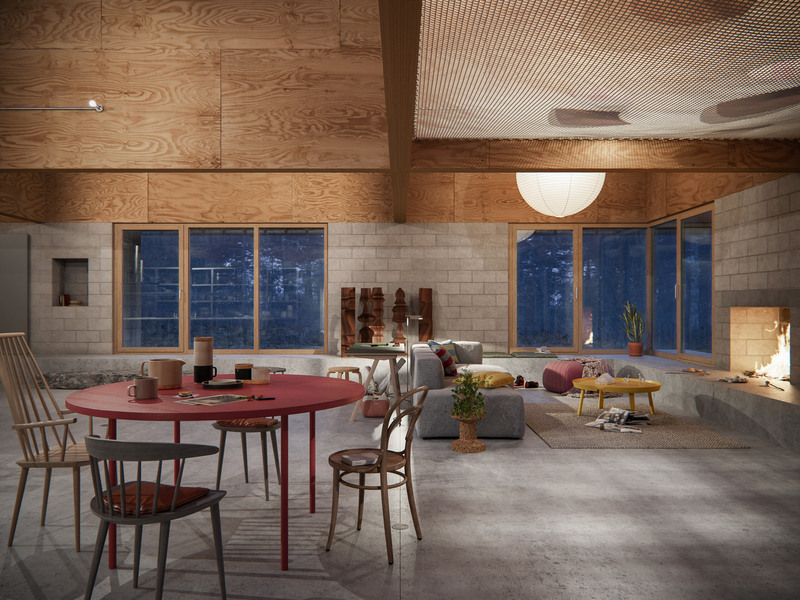 “The House of the Woodland employs a form of the nine-square grid, establishing a dialogue with the reoccurring use of this organisational typology throughout architectural history,” the studio said in a project description. WOJR’s scheme departs from many other nine-square buildings in one significant way. The grid is only apparent in the ceiling plane and is not evident in the ground-floor plan. “The volume on the ground level of the building is evacuated of structure, allowing the nine-square grid to be present only in the figures tracing the large-scale coffers above,” the studio said. The ground level is sunken 16 inches (41 centimetres) into the ground. The floor is ringed by a concrete bench, which can be used as seating and shelving. The bench also acts as a stair that enables entry and exit through the home’s glass doors. 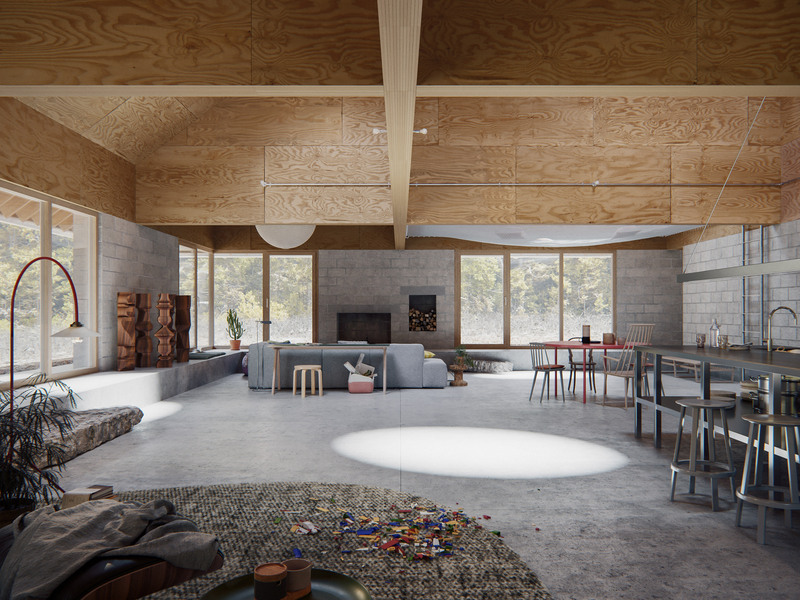 “The House of the Woodland is fundamentally about the intangible generosity of space itself that allows everyday materials to be recast into a new and unexpected whole,” the firm said. The visualisations are meant to convey a “slowness and an awareness of temporality” that permeate the project, from start to finish. “There are three marked moments anticipated in the construction of the building that provide distinct experiences of the woodland,” the team said. 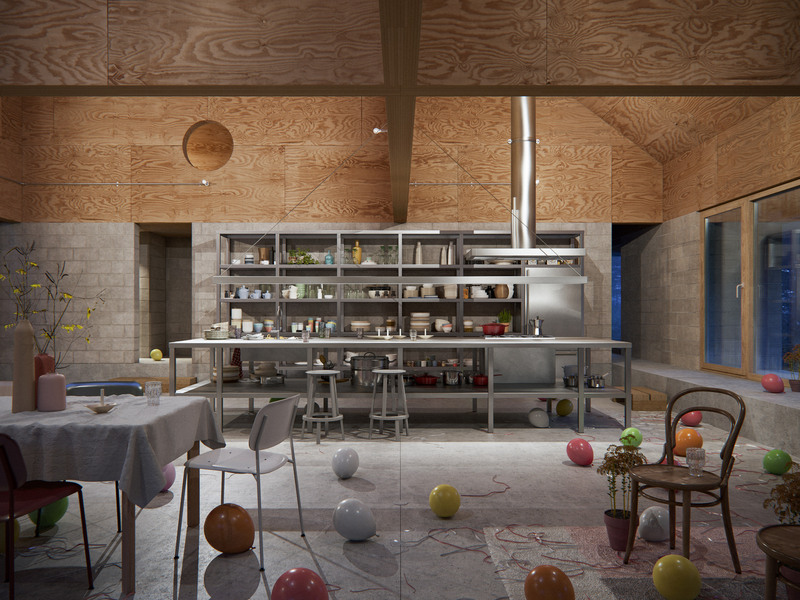 In the final moment, the pavilion is filled with interior walls, glazing, and “other elements that make a building a home”. WOJR was founded by William O’Brian Jr, a graduate of Harvard‘s architecture school and a professor at MIT. 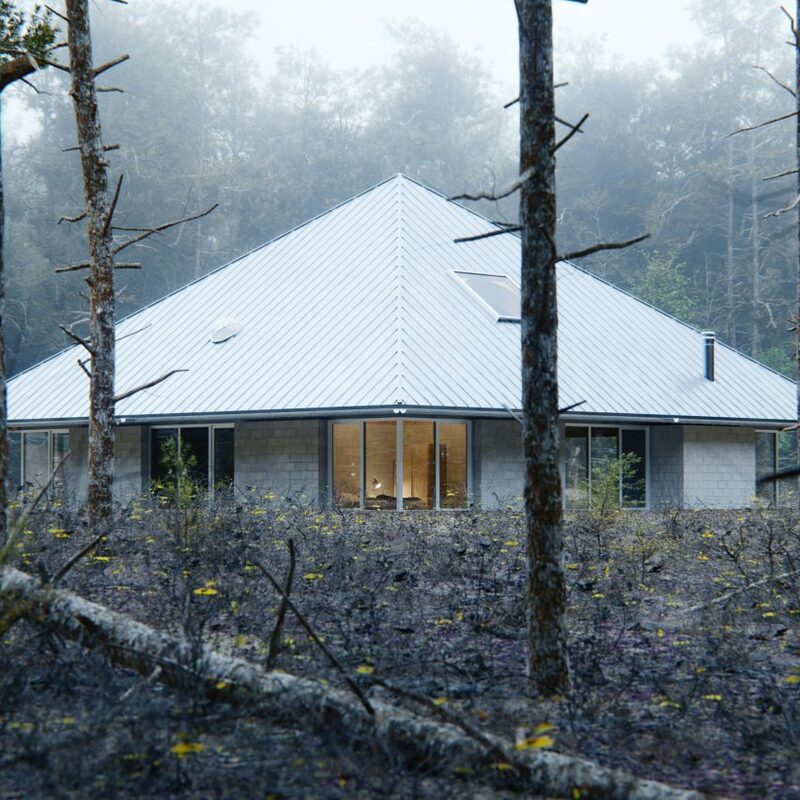 The studio has has designed a number of conceptual dwellings, including House of Horns in California, which features a dramatic roof that dips and swoops upward, and a forest cabin on stilts conceived for a grieving man. 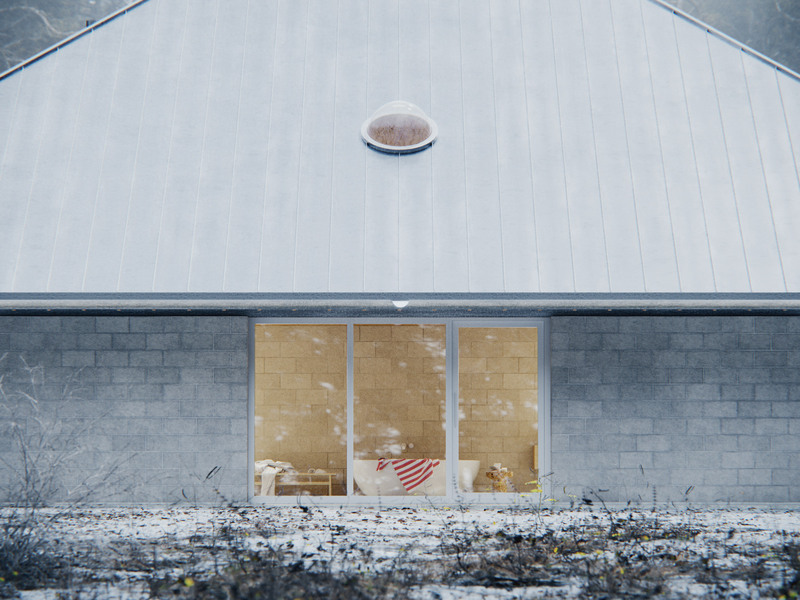 The post WOJR envisions House of the Woodland topped with huge roof for Massachusetts forest appeared first on Dezeen.